You might not consider light stands as something particularly high-tech, but Phottix, with their new Padat light stand, begs to differ. The company is introducing a new compact light stand in the popular reflex-folding design, but unlike conventional stands, this one is made from carbon fibre—something normally found in camera tripods and monopods. 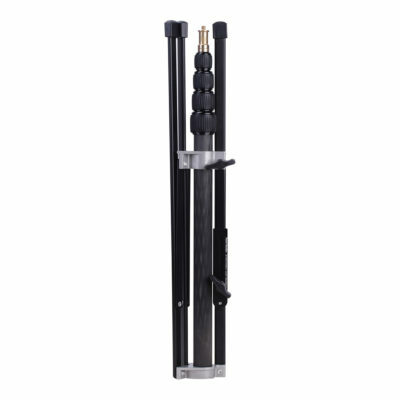 The carbon-fibre central column is the first of three key features in the Phottix Padat light stand. 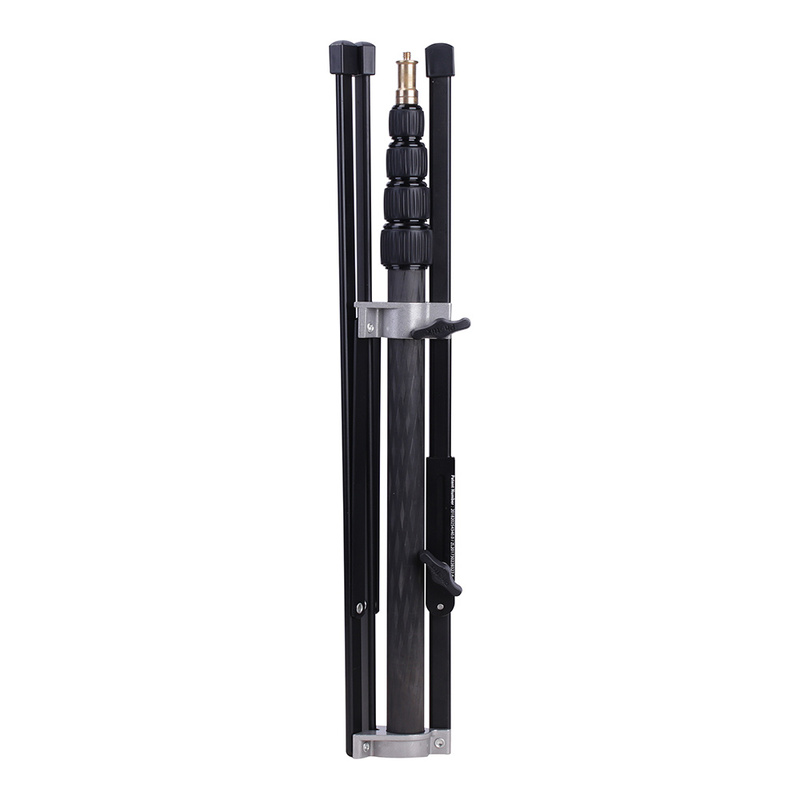 This column can also be removed from the lightstand and serve as a lightweight portable boom. Also, with the addition of the included ball-head mounting plate and rubber foot, the central column can be converted into a monopod. Secondly, the Padat folds flat, similarly to the QSS light stands from Manfrotto. Because of this, it takes less space in bags, hence the name Padat which means ‘compact’ in Malaysian. Finally, an aluminium levelling leg makes sure that the light stand can also be used anywhere. 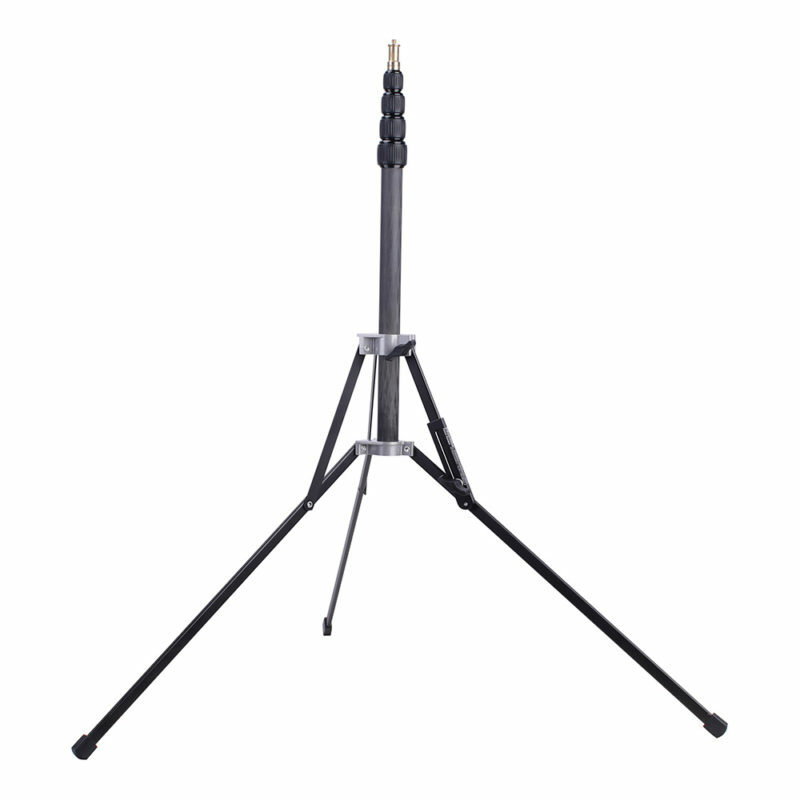 With this adjustable leg it is possible to set up the light stand on uneven terrain, stairs or even leaning up against a wall if there is not enough room to fully extend all three legs. Keen readers might remember the original Phottix Padat, which offered all of these features, except the carbon fibre column, in an aluminium frame and was announced earlier this year (for around $100 less). Carbon fibre isn’t commonly used in light stands — the only other instance we can think of is the Nissin LS-50C, which retails for $175. By combining these features Phottix has created a very interesting light stand that is interesting for photographers on the move. Unfortunately, all these nifty elements do not come cheap. The Phottix Padat Carbon 200 is available now for US$150. Order now on Amazon.